How do you improve upon mac and cheese? Easy: Intensify the cheesy goodness with ricotta, Parmesan and melted VELVEETA. 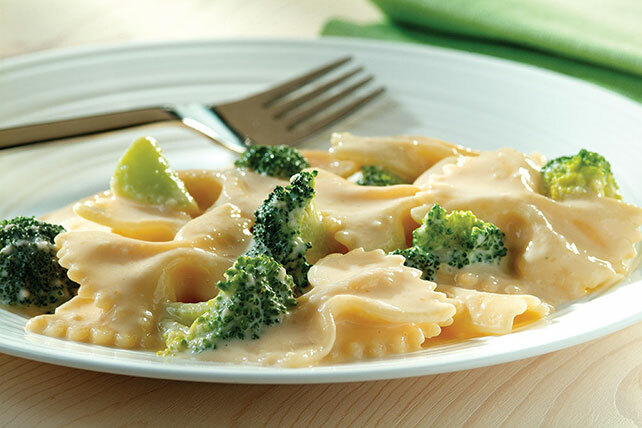 Cook pasta as directed on pkg., adding broccoli to the cooking water for the last 2 min. of the pasta cooking time. Drain pasta mixture; return to saucepan. Stir in remaining ingredients. Cook on low heat 5 min. or until heated through, stirring frequently. Substitute your favorite shaped pasta for the bow tie pasta.